pretty.pretty.paper: no, your cilantro should not look like that. no, your cilantro should not look like that. the other day i tweeted this picture because i was so proud of our cilantro plant. it was growing so big and strong, something i've had very little success with when it comes to herbs. normally they just die. mostly because i forget about them. but now we have a bunch of edibles in the front yard and for some reason (maybe the fear of the disappointment of our neighbors?) they are all thriving. i weed and water and whisper sweet nothings to them. so far it's working out. or at least i thought. why did no one tell me that the second cilantro starts blooming it begins to loose it's flavor? why did no one tell me that i should be trimming my cilantro by at least 1/3 every single week? i'm sitting here afraid to trim any of it because i don't want to disrupt the delicate cycle of life meanwhile i am actually KILLING it, well sort of, killing it's flavor and usefulness. and now it looks like i might just have to start over, with a whole new plant. i found this all out when i went and googled something like "how to trim a cilantro plant in the garden," yup that is my level of expertise here. i guess i should also read up on basil and dill and lavender and rosemary and jalepeños and habeneros. good thing i've grown tomatoes before. i certainly would have hated to make six plants worth of inedible fruit. it's a learning process this gardening thing, and so far it's taken me a bit longer than normal to catch on. I swear off cilantro every year because it bolts before I can get to it. And then I plant it again, because it's so nice to have and I promise I'll stay more on top of it this time. I sincerely appreciate you reminding me that I need to trim my cilantro when I get home tonight! Seriously!! 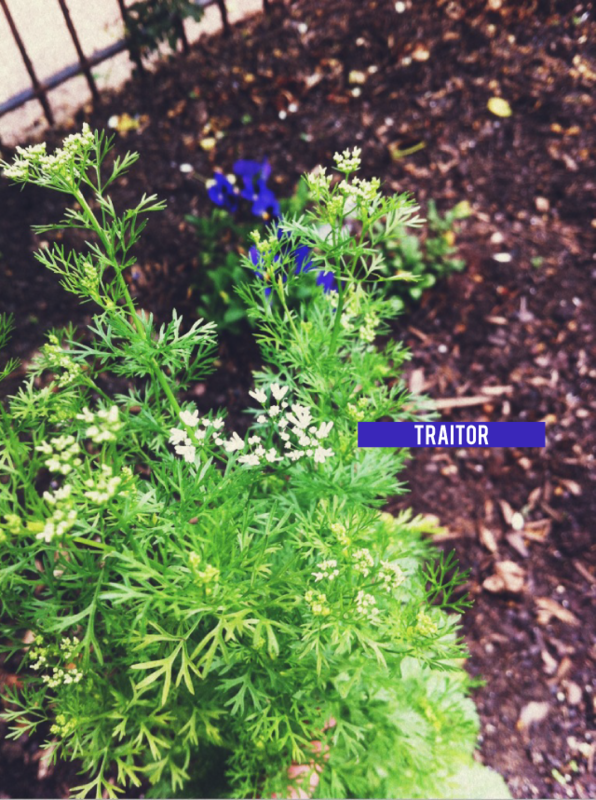 I gave up on growing coriander (cilantro to you!) long ago. It was cheaper for me to buy the cut stuff from the fruit and veg shop than buying a new plant every time I realised it had bolted before I could get to it. Most frustrating herb to grow EVER! What Jamie said. True for most herbs. adidas originals x opening ceremony.